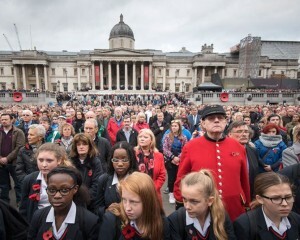 November is the time of the year when people in the UK wear a red poppy in memory of those who sacrificed their lives for future generations during wars. It is held on the second Sunday in November, which is usually the Sunday nearest to 11 November. Special services are held at war memorials and churches all over Britain. 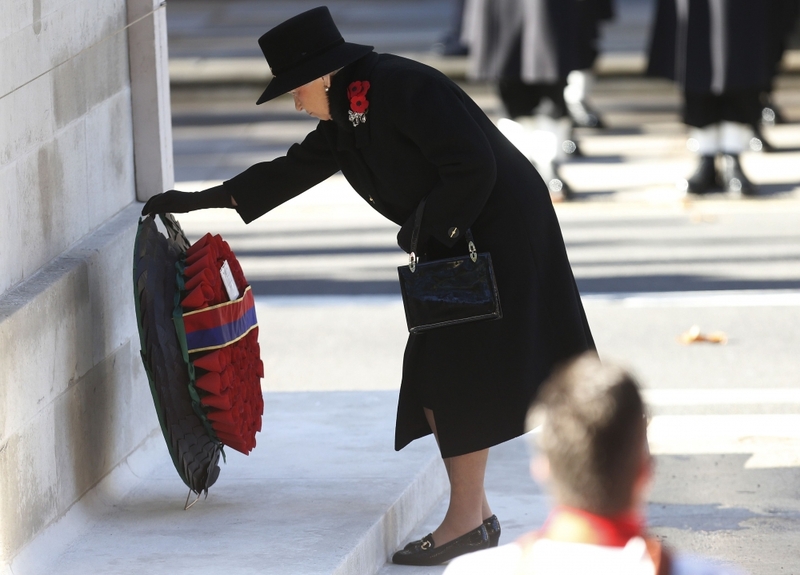 A national ceremony takes place at the Cenotaph in Whitehall, London. 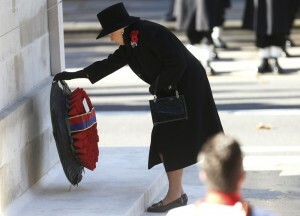 The Queen lays the first wreath at the Cenotaph. Wreaths are laid beside war memorials by companies, clubs and societies. People also leave small wooden crosses by the memorials in remembrance of a family member who died in war. Flanders is the name of the whole western part of Belgium. It saw some of the most concentrated and bloodiest fighting of the First World War. There was complete devastation. Buildings, roads, trees and natural life simply disappeared. Where once there were homes and farms there was now a sea of mud – a grave for the dead where men still lived and fought. Only one other little thing survived. The poppy flowering each year with the coming of the warm weather brought life, hope, colour and reassurance to those still fighting. Poppies only flower in rooted up soil. Their seeds can lie in the ground for years without germinating and only grow after the ground has been disturbed. Remembrance Day is also known as Poppy Day, because it is traditional to wear an artificial poppy. They are sold by the Royal British Legion, a charity dedicated to helping war veterans. At 11am on each Remembrance Sunday a two minute silence is observed at war memorials and other public spaces across the UK. Sadly, due to the current intensive operations, the names of many young men and women are now being added to war memorials throughout the land. We give thought also to the many who are injured but, due to the miracles of modern medicine, are increasingly surviving with horrific injuries. So, on Remembrance Day, we remember these people as well as those from the two great wars. John McCrae's poem may be the most famous one of the Great War. In 1915 the day before he wrote «In Flanders Fields», one of John's closest friends was killed and buried in a grave decorated with only a simple wooden cross. Wild poppies were already blooming between the crosses that marked the graves of those who were killed in battle. Unable to help his friend or other fallen soldiers, John McCrae gave them a voice through "In Flanders Fields’’. Эта запись написана автором Елена Шрамкова, 12.11.2015 в 00:58, и размещена в категории Традиции и обычаи Великобритании. Следите за ответами на эту запись с помощью RSS 2.0. Вы можете написать комментарий или разместить обратную ссылку на своем сайте.